© Gabriela Fulcher. All rights reserved. 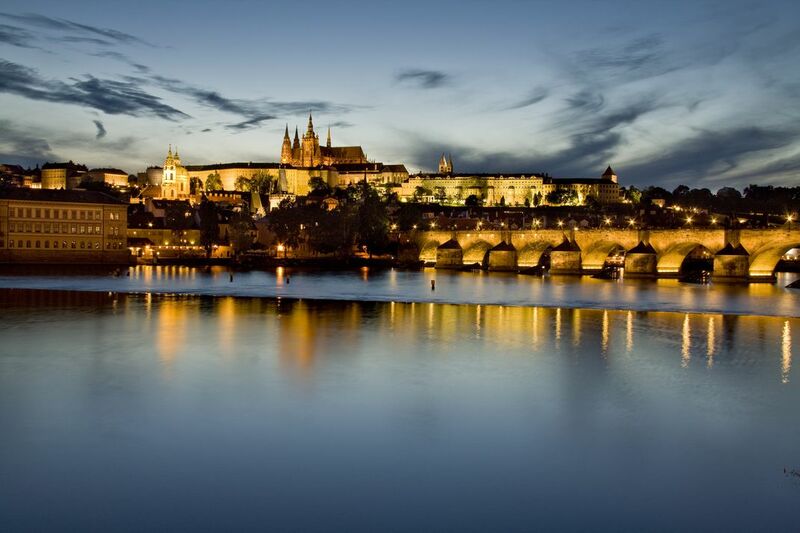 View of Prague Castle and Charles Bridge from the bank of Vltava River. It was a beautiful summer evening and I took my mom for a trip to Prague. We walked along the bank of Vltava River just as the darkness started to take over and the historical part of the city started to lit up. It was a magical moment. Date Uploaded: Aug. 24, 2015, 2:33 p.m.